Pig and Mouse are hard at work baking the best birthday cake EVER for Cow. But it would be a lot easier if Duck weren't hanging around, yammering on about turnips or some nonsense. (Sheesh!) 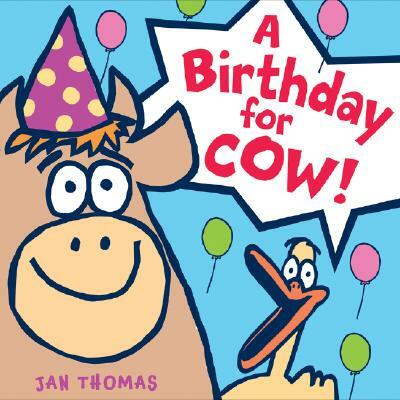 With all this silliness going on, how will they manage to throw Cow a spectacular birthday party? Well, as it turns out, crazy Duck just might have had the right idea all along! This second picture book from Jan Thomas features wacky humor that toddlers will adore, rowdy repetitions, irreverent dialogue--and a hilarious twist at the end.